Current Year 11 students from across the Doncaster region are to take part in an academy training camp at Club Doncaster Sports College. The Sports College plan to show new students for the 2019/20 academic year what they have to offer in terms of their future education and prospects. The day will be hosted by deputy principal Ben Thompson and academy coordinator Steve Hernandez, who will also introduce students to the Football Academy on the new 4G pitches at the Keepmoat Stadium Soccer Centre. The training camp will offer students the opportunity to showcase their skills and gain a first-hand experience of the coaching style and facilities they will be able to enjoy at Club Doncaster. The courses are open to all footballing abilities and the day is aimed at helping students make their further education decision for September. Sports College deputy principal, Ben Thompson, said: "Here at Club Doncaster Sports College, we are offering current Year 11 students the opportunity to test out our facilities and showcase their skills at a football training camp. 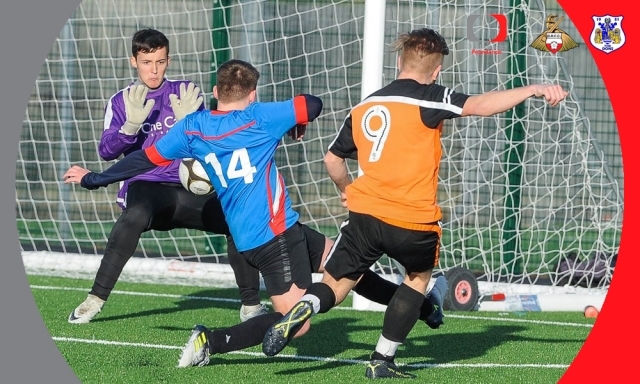 "Choosing your further education option for 2019/20 is a really difficult decision and an important one to get right; here at the Sports College, we hope we give the young people a clearer perspective on what is on offer in sport next year”. Interested? Visit the Club Doncaster Sports College Facebook page, or contact the office on 01302 764663 for more details.